The goal of the LSU Mathematics Student Colloquium is to give both undergraduate and graduate students the opportunity to hear and interact with speakers from across the country, providing information and perspective possibly relevant to their graduate and postgraduate careers. Each invited speaker will spend several days at LSU, giving multiple talks and making himself or herself available to undergraduates. Talks are not confined to the math department but open to everyone. Those majoring in related fields are encouraged to come. We are a charted LSU student organization (constitution and bylaws). We are munificently funded by the Student Government Programming, Support, and Initiatives Fund (PSIF), and the LSU Mathematics Department. We are grateful for the generous past funding made by grants from the National Science Foundation (a VIGRE grant) and the Board of Regents. 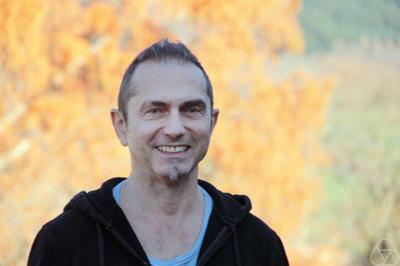 Professor Peter Jorgensen obtained his PhD from the University of Copenhagen in 1997. 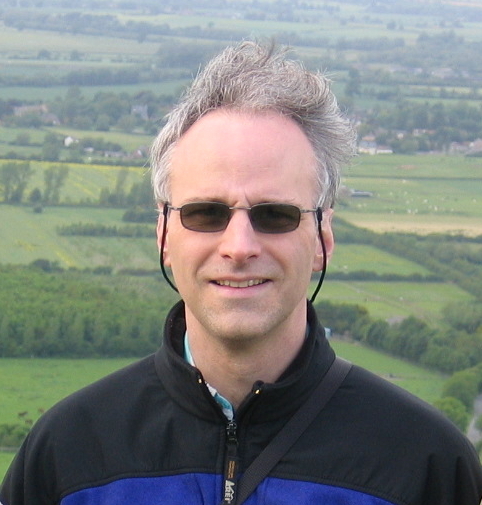 He held post doc positions in Antwerp, Bielefeld, and Copenhagen before moving to the University of Leeds in 2003 as a University Research Fellow. He has been Professor of Mathematics at Newcastle University since 2006. He is the author of more than 70 research papers and serves as a main editor of the Bulletin of the London Mathematical Society. Abstract: Knots are everyday objects, but they are also studied in mathematics. They were originally envisaged as models for atoms by Lord Kelvin, and have been studied by increasingly sophisticated mathematical methods for more than 100 years. Two knots are considered to be "the same" if one can be manipulated to give the other without breaking the string. The natural question of whether two given knots are the same turns out to be highly non-trivial; indeed, this is the central question of Knot Theory. The talk is a walk through some aspects of this fascinating area of pure mathematics. Abstract: The word "quiver" means oriented graph: A graph where each edge has an orientation, i.e. is an arrow from one vertex to another. A representation of a quiver Q associates a vector space to each vertex of Q and a linear map to each arrow of Q. The representations of Q form a so-called abelian category. It is also possible to construct triangulated categories of quiver representations, and abelian and triangulated categories are the basic objects of homological algebra. Dr. Francfort is a Professor of Mathematics at the Université Paris XIII and a visiting professor at the Courant Institute at New York University. He received his PhD in Mechanical Engineering at Stanford University and his habilitation at Université Paris 6. Dr. Francfort was a senior member of the Institut Universitaire de France in Paris, and a co-recipient of the Paul-Doistau-Emile Blutet prize from the French Academy of Sciences. He has traveled prolifically and has had many talks and invited stays at institutions throughout the world. Abstract: I wish to demonstrate that minimization is a natural notion when dealing with even simple mechanical systems. The talk will revolve mainly around a simple spring brake combination which will in turn illustrate how the search for minimizers tells us things are never as simple as first thought. All that will be needed for a correct understanding of the material are basic notions of convexity, continuity as well as some familiarity with integration by parts. Abstract: Adjudicating the correct model for the behavior of solids in the presence of defects is not straightforward. In this, solid mechanics lags way behind its more popular and attractive sibling, fluid mechanics. I propose to describe the ambiguity created by the onset and growth of material defects in solids. Then, I will put forth a notion of structural stability that helps in securing meaningful evolutions. I will illustrate how such a notion leads us from the good to the bad, and then to the ugly when going from plasticity to fracture, and then damage. The only conclusion to be drawn is that much of the mystery remains. Dr. Bonin has research interests in Matroid Theory, which is a branch of Combinatorics. He is a professor at The George Washington University, where he has been since receiving his PhD from Dartmouth College in 1989. He is a member of the GW Academy of Distinguised Teachers, and has been a research visitor at many universities, including MIT and Universitat Politecnica de Catalunya. Title: What do lattice paths have to do with matrices, and what is beyond both? Abstract: A lattice path is a sequence of east and north steps, each of unit length, that describes a walk in the plane between points with integer coordinates. While such walks are geometric objects, there is a subtler geometry that we can associate with certain sets of lattice paths. Considering such sets of lattice paths will lead us to examine set systems and transversals, their matrix representations, and geometric configurations in which we put points freely in the faces of a simplex (e.g., a triangle or a tetrahedron). Matroid theory treats these and other abstract geometric configurations. We will use concrete examples from lattice paths to explore some basic ideas in matroid theory and some of the many intriguing problems in this field. Abstract: The theory of error-correcting codes addresses the practical problem of enabling accurate transmission of information through potentially noisy channels. The wealth of applications includes getting information to and from space probes, reliably accessing information from (perhaps scratched or dirty) compact discs, and storage in the cloud. There are many equivalent definitions of a matroid, each conveying a different perspective. Matroids generalize the ideas of linear independence, subspaces, and dimension in linear algebra, and cycles and bonds in graph theory, and much, much more. The wealth of perspectives reflects how basic and pervasive matroids are. Matroids arise naturally in many applications, including in coding theory. The aim of this talk is to give a glimpse of both of these fields, with an emphasis on several ways in which matroid theory sheds light on coding theory. One of these applications of matroid theory dates back to the 1970’s; another is a relatively new development that is motivated by applications, such as the cloud, that require locally-repairable codes. Dr. Sabloff has research interests in Contact and Symplectic Geometry, especially Legendrian and Transversal Knot Theory. He received his PhD from Stanford University. 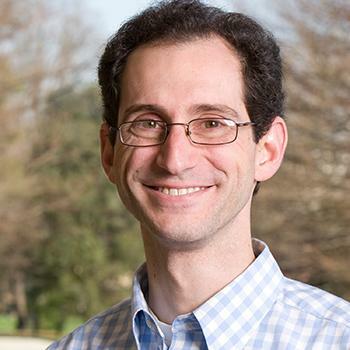 After he spent a year as a postdoctoral lecturer at the University of Pennsylvania, he moved to Haverford. He is now an Associate Professor at Haverford College in Pennsylvania. Abstract: You can describe the configuration of a unicycle on a sidewalk using three coordinates: two position coordinates x and y for where the wheel comes into contact with the ground and one angle coordinate t that describes the angle that the direction the wheel makes with the x axis. How are the instantaneous motions of the unicycle constrained (hint: do you want your tire to scrape sideways)? How can we describe that constraint using generalizations of tools from vector calculus? The system of constraints at every point in (x,y,t)-space is an example of a "contact structure," and a path that obeys the constraints is a "Legendrian curve." If the curve returns to its starting point, then it is called a "Legendrian knot." A central question in the theory of Legendrian knots is: how can you tell two Legendrian knots apart? How many are there? In other words, how many ways are there to parallel park your unicycle? There will NOT be a practical demonstration. Abstract: Lagrangian fillings of Legendrian knots are interesting objects that are related, on one hand, to the 4-genus of the underlying smooth knot and, on the other hand, to Floer-type invariants of Legendrian knots. Most work on Lagrangian fillings to date has concentrated on orientable fillings. I will present some first steps in constructions of and obstructions to the existence of (decomposable exact) non-orientable Lagrangian fillings. In addition, I will discuss links between the 4-dimensional crosscap number of a knot and the non-orientable Lagrangian fillings of its Legendrian representatives. This is joint work with Linyi Chen, Grant Crider-Philips, Braeden Reinoso, and Natalie Yao.